2018 San Diego Botball Challenge @ USD! Thank You KISS Institute for Another Great Global Conference for Educational Robotics! TEACHERS NEED HELP to get more American children playing the game of math and science. Click to Fund a Team! 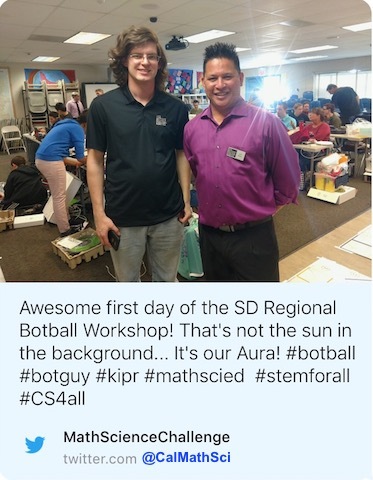 San Diego Futures Foundation • March 23 STEMFest! Winter 2019 Math & Science Challenge Events • Junior Botball Regionals: April 20! CA Math & Science Challenge!